Toss the shrimp with the olive oil, salt, and pepper. Heat a large skillet on medium heat, and when it is hot, add the shrimp in a single layer. Cook just until the shrimp curl and turn pink, then flip and cook for another minute. Remove from heat. 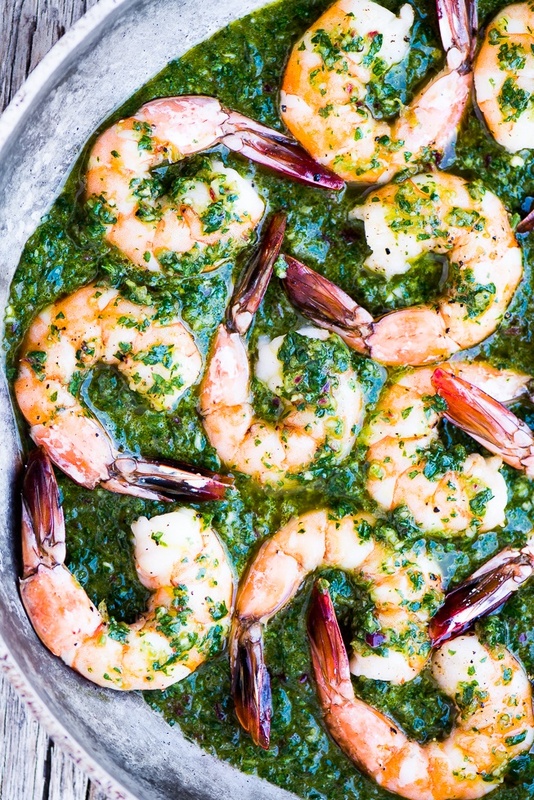 Spread the chimichurri sauce in a casserole dish, serving dish, or skillet, and nestle the cooked shrimp down into the sauce. Serve with crusty bread for dipping, or serve over rice, couscous, or pasta.